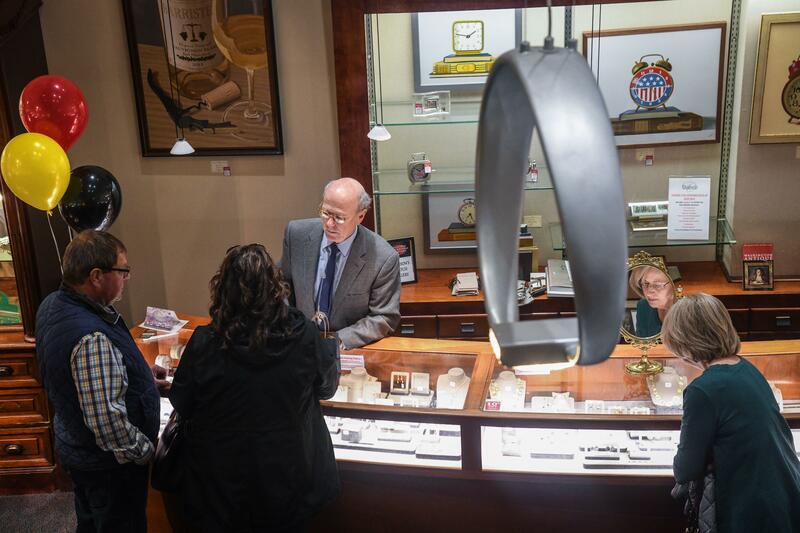 UPDATED: Thu., Feb. 7, 2019, 12:28 p.m.
Dodson’s Jewelers announced its last day of business is Feb. 16. In November, the company said it was closing the business after 131 years of family ownership, but at the time didn’t have an exact date. “People have been asking forever, and we’ve finally figured out the date,” said Penn Fix, owner of Dodson’s Jewelers, 516 W. Riverside Ave. The last day of business comes two days after Valentine’s Day, and Fix wanted to be open for the holiday. “Valentine’s is an important gift-giving holiday,” he said. Fix said remaining inventory will be sold to other dealers. He said he will retain ownership of the building and rent it to another business – most likely retail – and is in the process of interviewing renters. The building has two 4,000-square-foot floors, a 1,500-square-foot mezzanine and a basement. It was built in 1890 and renovated in 1997, according to county property records. Fix said the iconic clock in front of the building will remain but he’ll likely replace the word “Jewelers” with “Building.” He also said there’s an option to move the sign to the Northwest Museum of Arts and Culture. Since the November closing announcement, Fix has seen customers return to his store with fond memories. One customer bought an engagement ring 15 years ago from Fix. “He was so nervous that when he picked up the ring after we set the diamond he began hyperventilating, so we gave him a paper bag to breathe into it,” Fix said. “About five years ago, he and his family moved to Portland,” Fix said. “When they heard that we were closing, he and his wife jumped in their car with their four kids (all under the age of 12) and drove to Spokane. This article has been corrected to accurately state the time when Fix sold a ring to a man. Published: Feb. 6, 2019, 2:57 p.m. Updated: Feb. 7, 2019, 12:28 p.m.